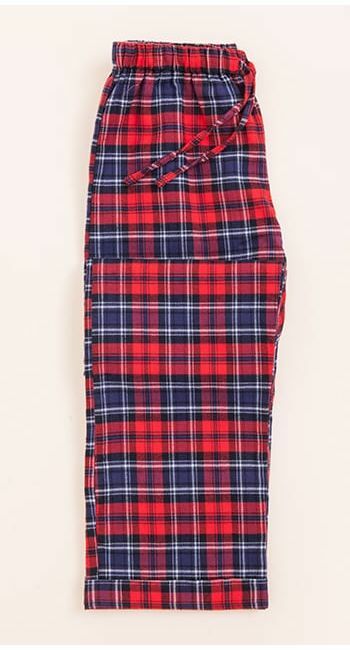 Cosy brushed cotton pyjama bottoms for children and teenagers in a blue and red check. Suitable for boys and girls. This blue check is available as a full pyjama set and is also found in the men's collections.